"The new, permanent Wilson station entrance on the north side of Wilson Avenue will open. All station access will be through this entrance during this phase of construction. 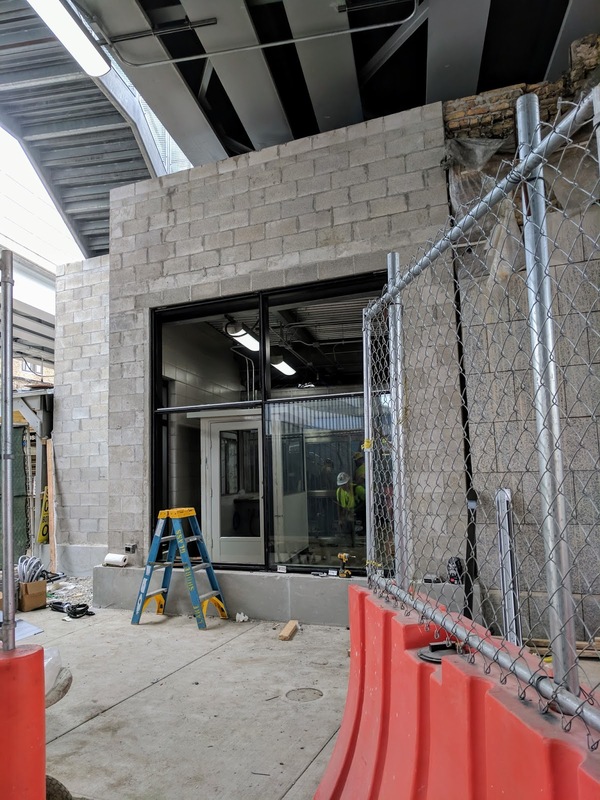 The new entrance on the north side of Wilson Avenue will include fare vending machines, and will be staffed until the permanent main entrance on the south side of Wilson Avenue is completed." Progress is happening quickly around our Wilson L station and the north entrance on Wilson will open on Sunday! The future entrance to the station on the north side of Wilson reached a milestone of sorts today as works installed the first window framing and glass in the westernmost part of the building. Subway tile and turnstiles are being installed as well. New curbs and sidewalks outside the entrance are also finished.